There’s no room for cutting corners when it comes to engineering a rock-solid NETWORK. That’s why we only deploy high-end enterprise network equipment and have invested in multiple layers of redundancy throughout our network infrastructure so that we can provide the most RELIABLE hosting and Internet services for our clients. Using leading-edge virtualization technologies from VMware and robust hardware solutions from industry leaders like Dell, EMC and Cisco ensures that your applications are always available. Increasing or scaling back on your hosting resources is a snap with Zimcom Cloud Hosting. We know that your needs can vary based on many factors and can help you quickly and appropriately size your environment based on your current needs. 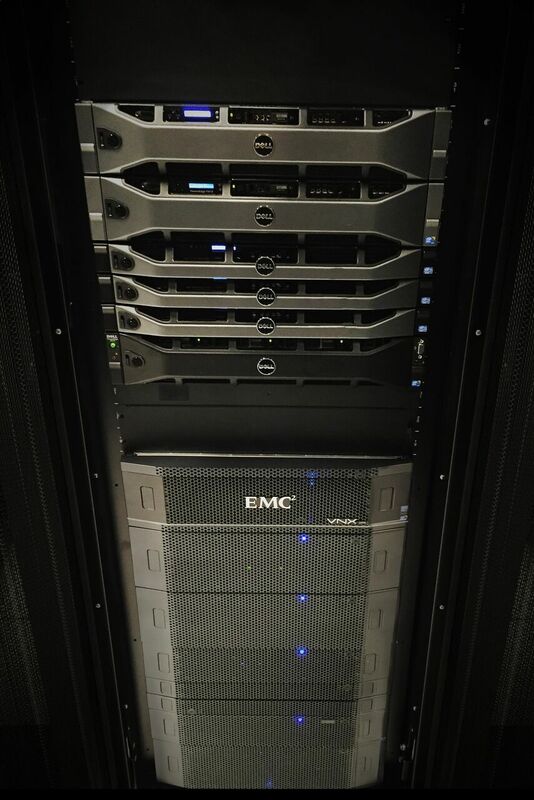 High performance EMC Storage arrays provide our customers with super-fast and ultra-reliable data storage they can rely on. Each customer’s data is spread out across hundreds of disk drives providing superior transactional performance as well as protection from data loss. Multiple GigE links with upstream providers ensure minimal latency and fast connections to all points of the Internet.